Tikamgarh is one of the few places in Madhya Pradesh, which showcase the history of Medieval India in detail. Once a part of the Orchha kingdom, Tikamgarh is one of the significant districts in the state today. It is popular amongst tourists for its historical palaces and forts, which are said to have been built during the reign of the Orchha kings and a few under the empire of the Mughals. Tikamgarh is believed to have been founded by the first Orchha king, Rudra Pratap Singh, during the 16th century and since then, it has been a major political and commercial centre in the central region of India. How about a trip from Bhopal to Tikamgarh this weekend and learning in detail about the ancient Orchha kingdom and how it flourished and declined? If you are a history lover and looking forward to witnessing the ancient beauty of Madhya Pradesh, then Tikamgarh is one such place which you must visit. Read on to know more about this historic city of the Bundelkhand region. The region in and around Tikamgarh experiences an extreme type of climate and hence, the summers are hot here. Therefore, most of the tourists prefer to travel to Tikamgarh during the winter and spring season, from the months of October to March. However, for history lovers and other historians, Tikamgarh remains a year-round destination. By Air: You can catch a direct flight to Khajuraho Airport and then from there you can hire a taxi to Tikamgarh, which is located at a distance of around 140 km from the airport. By Rail: The best way to reach Tikamgarh by rail is to catch a train from Bhopal railway station to Lalitpur Junction and then from there, a bus or taxi to Tikamgarh. The distance between Lalitpur and Tikamgarh is 50 km. By Road: Tikamgarh is situated at an approximate distance of 270 km and hence, it is easily accessible by road. You can either take direct bus or hire a taxi to Tikamgarh from Bhopal. However, route 1 is preferable as it takes 1 hr lesser in comparison to route 2, thereby, reaching Tikamgarh within 5 h 30 min. While on your way, you can also take a break at Sanchi. Sanchi is one of the most popular historical places in Madhya Pradesh and is visited by thousands of tourists every year. It is famous for the Great Stupa, which is a part of the Buddhist Complex at Sanchi. Located in the Raisen district, Sanchi Stupa is said to have been constructed during the empire of the Mauryan King Ashoka in the 3rd century BC. Today, it is one of the most beautiful masterpieces of architecture in India and is also one of the oldest stone structures in the country. From beautiful architraves to intricate patterns, each and every part of this Buddhist Complex, of which Sanchi Stupa is the major part, is certainly commendable. Sanchi is located at a distance of about 50 km from Bhopal and 220 km from Tikamgarh. Being located at a distance of about 270 km, Tikamgarh is an ideal weekend getaway for every history lover, who loves diving deep down the layers of time and exploring the glorious as well as miserable past of Madhya Pradesh. Following are the most-visited and must-visit places in Tikamgarh. Even though Tikamgarh is popular amongst tourists for its historical monuments in the form of palaces and forts, it is still visited by thousands of devotees on account of the presence of several ancient temples. The major temples here include Laxmi Narayan Temple, Janki Mandir, the Jain pilgrimage centre of Paporaji, Kundeshwar Shiva Temple, Hanuman Chalisa Mandir and Shree Shree 1008 Mandir. All these temples are the prime attractions of Hindu and Jain devotees throughout the year. What historic city it can be without the presence of forts and palaces? As it was one of the major centres of Orchha Kingdom, it was blessed with several historical monuments in the form of forts and palaces. These prominent monuments include Tikamgarh Palace, Rani Mahal, Dauji Ki Haveli, Raj Praveen Mahal and Sunder Mahal. You can also visit Garh Kundar Fort, which is located at a distance of about 100 from the city centre and is one of the picturesque forts in the region with its surroundings filled with the grandeur of hills and forests. If you are looking forward to taking a break from history and getting lost in the scenic beauty of Tikamgarh, then you must visit Mahendra Sagar Lake. Even though the water level in the lake is very low during the summer season, it is still a spot where you can relax your mind amidst a peaceful environment. The list of spots in Tikamgarh doesn't end here. There are several other spots to explore within its boundaries, which include Jhir Ki Baghiya, Nazarbaugh Mandir, Bahmori Talab, Shani Mandir, Barighat and Roraiya Mandir. 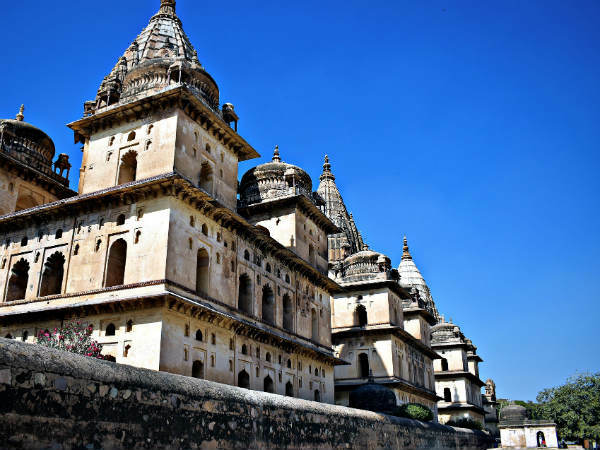 If you desire to explore beyond the city of Tikamgarh in the other parts of Bundelkhand region, then you must also visit the town of Orchha, of which Tikamgarh was once a significant part.